Takamine quality luthiery with gorgeous exotic woods and the awesome Cool Tube preamp. A fine solid cedar top generates authentic classical tone while a stunning solid rosewood back, laminated sides, plus a rosewood fingerboard and precision marquetry rosette lend huge visual impact. The CTP-1 Cool Tube Preamp provides precision tone control and an actual cool-running tube for lush warmth. Built-in chromatic tuner. 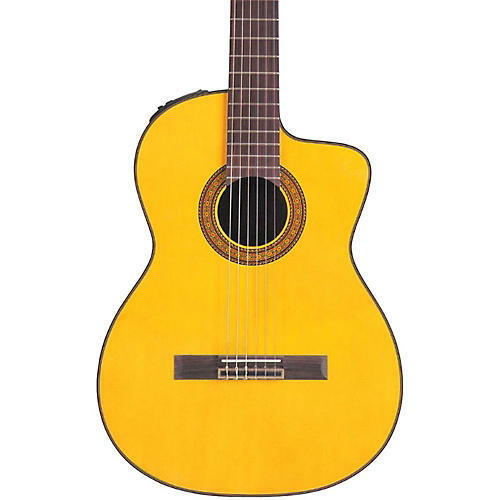 The cutaway and signature Takamine neck profile make it a delight to play.